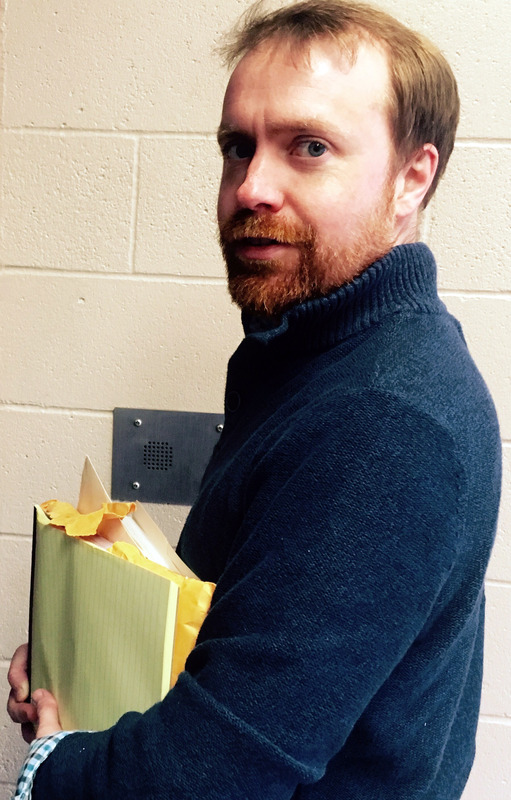 Private attorney Travis Slattery calls his wife’s Toyota Prius the "mobile litigation station." "It does 400 miles for less than 20 bucks," he said. Every dollar counts because the Stevens Point lawyer spends a lot of time on the road in northern Wisconsin. On a recent Sunday afternoon, he stopped to see a couple of clients at the Taylor County Jail in Medford. From there, he drove another two hours north to meet with several more clients at the Ashland County Jail. 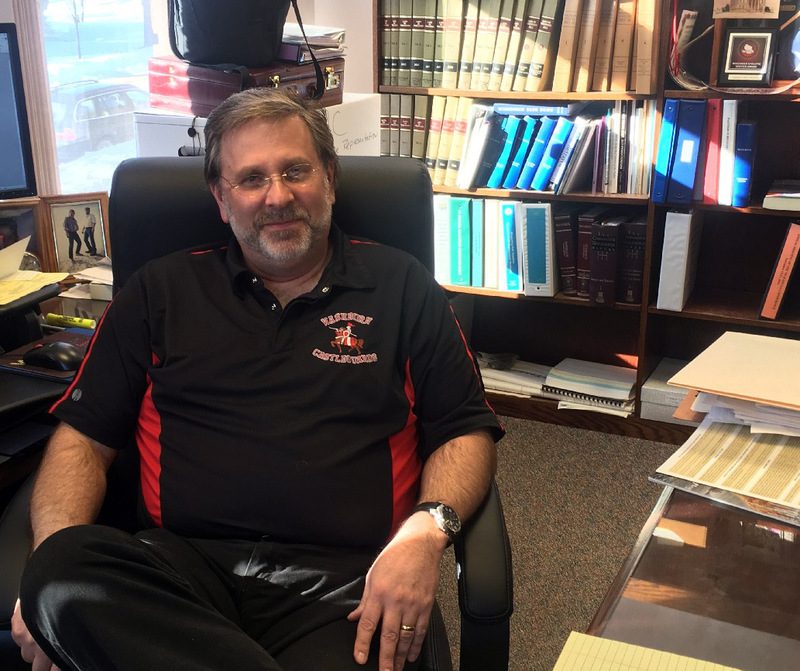 His clients are from cases he’s taken on through the State Public Defender’s Office, which assigns about 40 percent of its roughly 138,000 cases each year to private attorneys like Slattery. "It’s a little less than three and a half hours to get up here from my office ... I think Superior would be another hour, and they’ve been offering me cases in Douglas County," he said. "I just haven’t taken any." While on the road, Slattery takes calls from prosecutors or clients to talk about options for plea deals or sentences. He’s had as many as 70 open cases in the last year through the State Public Defender’s Office, but now he has roughly half that. "My flat fees that I do for private criminal defense are calculated so that I’m making somewhere around $200 an hour on the average case, so I make a lot more money on those cases," he said. "When I get those, I prioritize those and take less public defender stuff." The State Public Defender’s Office pays attorneys like Slattery $40 an hour to represent poorer clients who have been charged with crimes — the $40 compensation is the lowest compensation rate in the nation for private attorneys assigned such cases. The rate of pay has made it difficult for the state to find private attorneys willing to take their cases, according to the office’s communications director Randy Kraft. "Many cannot afford to devote much of their practice to taking a case that will require a great investment of hours at the $40 per hour rate when they could be working for a private-paying client for two, three, four, upwards as five times as much in terms of income," said Kraft. A 2015 report from the Boston-based Sixth Amendment Center, a nonpartisan group that makes recommendations to policymakers on criminal justice issues, found private attorneys in Wisconsin need to charge an average of $41.79 per hour just to make overhead. The compensation rate is one reason northern Wisconsin is struggling to find attorneys to represent clients, said Mark Perrine with the State Public Defender’s Office in Ashland. "The rate of pay is too low. It doesn’t cover the overhead for most attorneys who have an office, and we just can’t get attorneys locally to take our cases," said Perrine. State figures show Ashland County has just 25 practicing attorneys and nearby Bayfield County has 14. Perrine has a list of about a dozen attorneys he contacts when conflicts arise on cases. Even so, he said they’ve sought attorneys from as far away as Madison on several occasions. One reason may be that the majority of Wisconsin's more than 15,000 licensed attorneys reside in Dane, Milwaukee and Waukesha counties, according to State Bar President Paul Swanson. People who are presumed innocent until proven guilty are sitting in jail for two months or longer because they can't afford bail while they wait for an attorney, said Ashland County District Attorney Kelly McKnight. "The bigger issue I think is the absence of local attorneys who are willing to take public defender cases when there’s a conflict in the public defender’s office. That happens a lot," McKnight said. "You get situations where there are multiple defendants that are involved in a case ... and it results in their staff attorneys not being able to take the case." Perrine said the problem has grown in recent years as the area grapples with more crime related to drug abuse, especially methamphetamine. He said they’ve seen cases with a dozen or more defendants as local, state, and federal law enforcement have cracked down on drug distribution rings. "I know there are attorneys who don’t take our cases now who have said they will take more cases if the pay rates are changed," said Perrine. The lack of lawyers willing to take public defender cases is delaying justice for some victims, said Bayfield County District Attorney Kim Lawton. "They’re waiting and they don’t know why they’re waiting," said Lawton. "We tell them because the defendant needs to have their attorney. Well, the victim wants to be able to heal and move on and that’s part of their victim rights." For those charged with crimes, the delay can lead to an inadequate defense, Slattery said. "You get more removed from the witnesses so any defense you want to mount, it’s going to be harder to find the witnesses," he said. "They’re not going to remember as much. You might not be able to find any physical evidence you need." When the State Public Defender's Office can't find an attorney to take a case, the court appoints an attorney for a client. 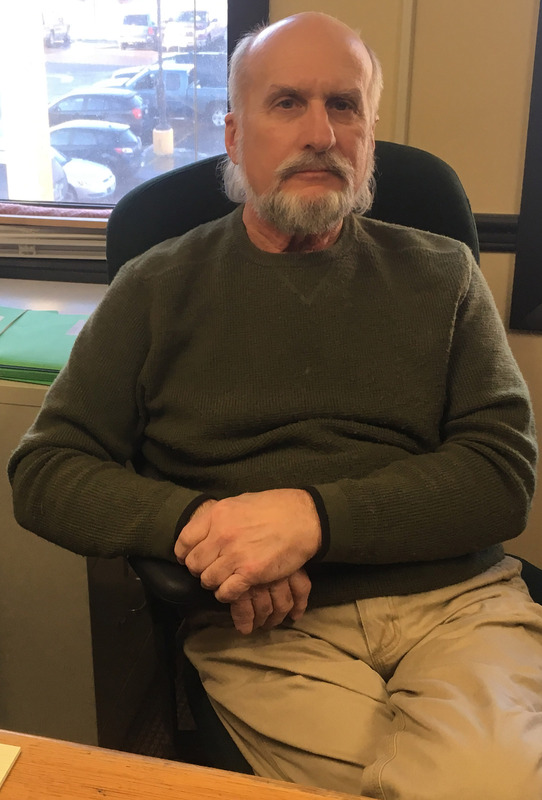 Bayfield County Circuit Court Judge John Anderson said he’s had to appoint people an attorney at the county's expense in the last couple years because the state has been unable to find lawyers willing to take cases. In 2016, the county paid around $2,000 for court-appointed cases. In 2017, the county paid just under $11,000. The state reimbursed Bayfield County for costs related to one case, and officials have requested reimbursement on several others. "I do see an awful lot of people waiting for a long period of time and then forcing my hand to appoint a lawyer for them through the county instead of through the State Public Defender’s Office," Anderson said. "That’s just a shifting of resources then. Who’s going to pay for it?" Earlier this year, Rep. Evan Goyke, D-Milwaukee, and Rep. Ron Tusler, R-Harrison, introduced a bill that proposed raising the private bar compensation rate through a tiered system that would have paid attorneys $55, $60, or $70 per hour depending on the amount of time spent on a case. However, the bill, along with at least a handful of other proposals that have been introduced over the last two decades, died in the Legislature. Under the most recent proposal, raising the rate would have required an additional $19 million each year to address the issue. Around one-third of roughly 1,100 criminal defense attorneys surveyed in Wisconsin several years ago found they spend less time with public defender clients and about half are taking fewer cases assigned by the State Public Defender's Office than years past, according to the 2015 Sixth Amendment Center report. Of those surveyed, the report found private attorneys spend 37 percent less time with appointed clients than those lawyers retain on their own. This may mean clients eligible for an attorney through the State Public Defender's Office aren’t getting the effective representation they’re guaranteed under the U.S. Constitution, said David Carroll, the center’s executive director. "If you have a financial conflict that you’re going to lose more money the more you work on a case, it’s going to have a tendency to try to get the lawyer to get the person to plead quicker," said Carroll. Around 55,000 cases were assigned to private attorneys in Wisconsin in fiscal year 2017, which represents 40 percent of the SPD's caseload. Figures courtesy of the State Public Defender's Office. Tusler is also concerned about the compensation affecting defendants negatively. "When you’re spending that much less time on your case, I’m not really sure you’re really getting down to the bottom of the matter and making sure that if you’re entering a plea, that it’s the right plea and if you’re going to resist a case, that you have the right foundation to do so," said Tusler. The compensation rate may also be playing a role in the level of experience indigent clients receive when they’re assigned an attorney, said Kraft. "On our list of private attorneys, many of the more experienced attorneys do not necessarily take as many cases, and, in some cases, hardly any cases anymore from the public defenders," Kraft said. "We do see more recent graduates on our list." Goyke said experience can play a vital role in the outcome of cases. "For the person being charged and the victim of that crime, it is the most important thing in their life," Goyke said. "They’ve either been harmed or face incarceration and this criminal record, and it’s incredibly important just for justice in general that a person have a really good lawyer." Next month, the Wisconsin Supreme Court will take up a petition from the Wisconsin Criminal Defense Lawyers Association, Wisconsin Association of Justice and attorneys asking the court to increase the court-appointed rate to $100 per hour. In addition, they would like justices to rule any rate below that unreasonable in an effort to fix what some are calling a constitutional crisis. Currently, court-appointed attorneys receive at least $70 per hour under Supreme Court rules — $30 more per hour than the rate private attorneys receive on cases assigned to them by the State Public Defender’s Office. If the court rules the rate unreasonable, the decision may be interpreted by the Legislature as a directive to address the private bar compensation rate, said Milwaukee attorney John Birdsall, petitioner for the Wisconsin Criminal Defense Lawyers Association. "It would introduce a new factor into the legal landscape where if somebody wanted to challenge the constitutionality in the future, the legal argument would be far more amenable to success if by court rule they’ve already said that this is an unreasonable rate." Other states have faced legal challenges over rates paid to assigned counsel, including Alabama, Mississippi and New York. In 2003, private attorneys in New York were being paid $40 per hour on assigned cases. Lawmakers eventually raised the rate for the first time since 1986 to $75 per hour. In Wisconsin, the compensation rate for private attorneys is only $5 more per hour than the rate set in 1978. "The Legislature has made it clear that they don’t care about this issue at all, and every governor for the last 40 years has done the same thing in their budget by not addressing it," said Birdsall. Goyke and Tusler have said they intend to bring back legislation to change the rates. "If we don’t do something, I do suspect it’s going to be forced on us," said Tusler. In the meantime, rural counties with fewer attorneys are relying more and more on attorneys like Slattery who are willing to drive hours to represent those who can’t afford counsel. However, he’s planning to take fewer cases from the State Public Defender’s Office. Slattery and his wife are expecting their first child this summer. "I’ll probably keep the Ashland cases because I like the Ashland area and I have family ties there, but I’m slowly getting out of the cases that are this far north because I’m actually getting enough private clients that I make way more money doing other stuff than I do with this," Slattery said.